The Miami Hurricanes are 6-0 and have become a talking point nationally as the only undefeated team left in the Atlantic Coast Conference. But a new fad this season has garnered just as much attention as the team itself, sending fans and media into a craze. It’s called the Turnover Chain. This unique piece of gold jewelry made its first appearance in Miami’s season opener against Bethune-Cookman Sept. 2, and since then has gone viral, being featured on ESPN and Fox Sports. It’s used as a motivational tactic to pump up the team and fans when the Hurricanes make a big play on defense. The Canes started the trend this season. First, a defensive player forces a turnover, such as a fumble or an interception. Then, as he comes off the field, one member of the coaching staff excitedly awards him the chain. The player gets to flaunt it on the sideline for the following possession. The players love it – it sends the team into an all-out celebration. The fans love it too – the Turnover Chain has received so much nationwide attention that Adidas made T-shirts featuring the chain. However, despite the chain’s popularity, many still have questions about its origin. AJ Machado, owner of AJ’s Jewelry in Cutler Bay, Florida, is the man behind the phenomenon. UM’s athletic department reached out to him over the summer with the special request of creating the chain. The day Machado got the call to design the Turnover Chain, Vince Wilfork, a former Hurricanes and NFL football star, stopped by the shop and influenced its design. And that’s when the chain was born, made of solid gold with a gem-encrusted “U” at the bottom. It weighs 2.5 kilograms and took more than two weeks to make. Machado said he could not disclose the chain’s cost. Machado, now known as the “King of Bling,” is no stranger to big-name projects – he is the go-to jeweler for more than 900 professional athletes. Many of the most popular players on TV can be seen on Machado’s “Bling of Honor,” the walls of his jewelry shop featuring dozens of pictures of him and the players who have purchased from the store. These star athletes include LeBron James,Floyd Mayweather Jr., Odell Beckham Jr. and Larry Fitzgerald. Machado’s jewelry business began in 1993 when he was 22. It took off from the start but didn’t have any athlete customers for the first four years. That changed when former NFL running back Troy Davis, who grew up in the Miami area and played for the New Orleans Saints, came in and made a purchase. From there, talk of Machado’s business spread quickly through word-of-mouth between pro players. The University of Miami has played a huge part in Machado’s success. “It started a lot with the U – the U has been a blessing for us,” Machado said. Many former UM football players, such as Clinton Portis and Andre Johnson, are repeat customers and have spread the news about AJ’s Jewelry both in college and in the NFL. And what a reputation he has built. Machado said a key part of his business process with those in the sports world is building a relationship with each athlete. This is what separates him from other jewelers. He values relationships with his customers and will do whatever it takes to provide the best service possible. Machado gave an example of how he even flew an employee out to hand deliver a piece of jewelry for a wedding. Machado’s business has expanded throughout the NFL – with a total of about 800 clients – and nearly all the players know his name. Despite making jewelry for so many athletes on so many teams, Machado’s heart is still with UM. “Obviously, I have clients on every team and every university, but everyone knows I’m a UM fan – a die-hard UM fan,” Machado said. 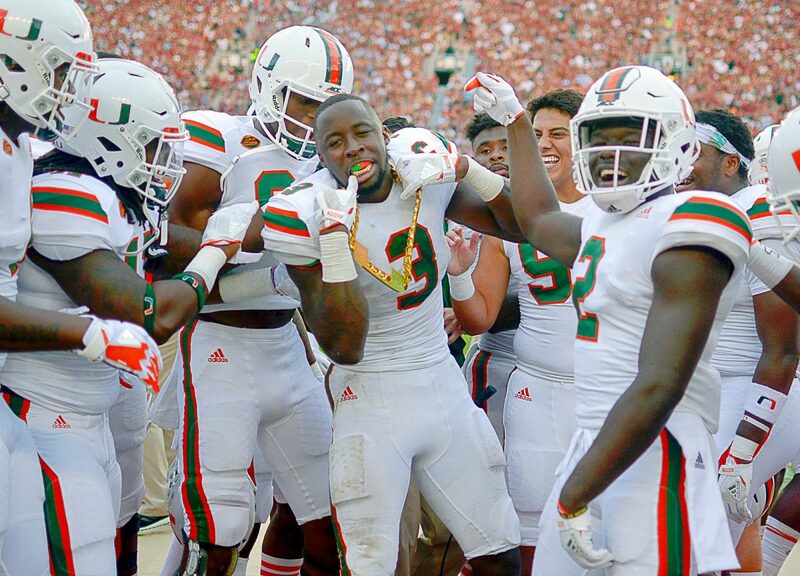 When it comes to the Canes, Machado is always cheering on his team and hoping the chain is broken out. 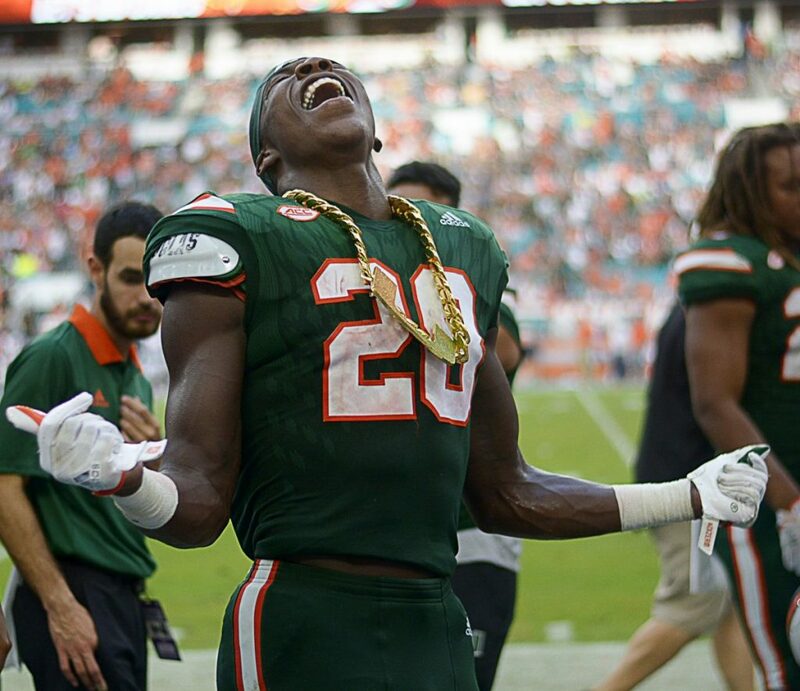 The electric atmosphere at Hard Rock Stadium on Saturdays proves that the Turnover Chain has not only brought extra passion to the players but to the fans as well. 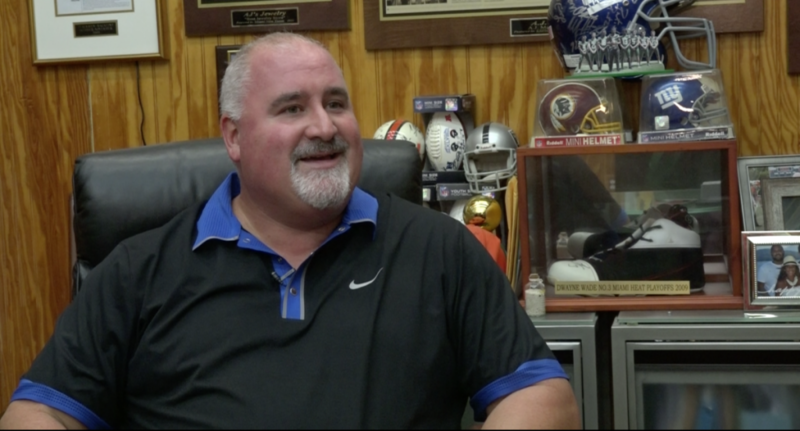 “People are excited again about the U, which I feel we lost a few years back,” Machado said.